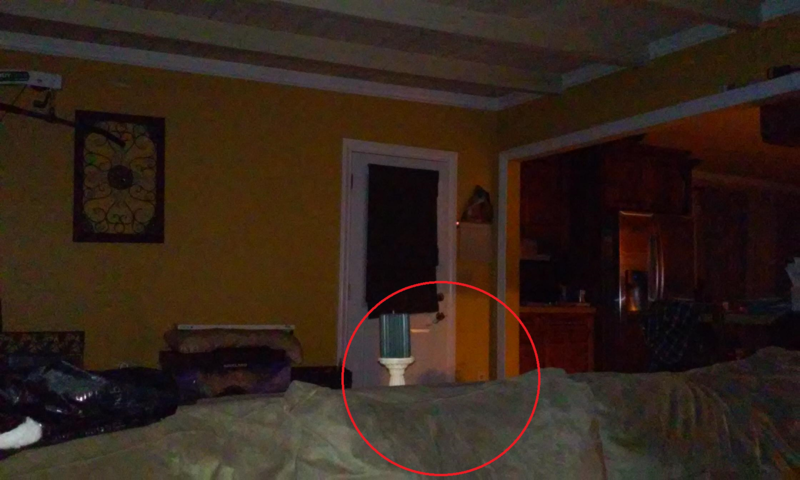 Every now and then I get dragged into defending my position that Orb artifacts are not a sign of paranormal activity. I have heard reasons for and debated against this subject to the point of exhaustion. In the paranormal realm orbs are generally defined as a semi-luminescent spherical shaped object. They may be seen with the naked eye but generally are discovered later on media, such as photographs (artifacts). Some orbs upon further visual inspection (photographs) are believed to have faces and other recognizable forms, such as clothing and objects embedded in the light. Some members of the paranormal community (and layman), believe orbs are the physical manifestation of a departed spirit or soul. Some paranormalist’s have gone further and created restrictive rules governing orbs as paranormal. Orbs must appear to emit their own light source. Secondly, orbs must appear to have self governed propulsion. Lastly, orbs must appear to move in an intelligent flight path. Proponents of orb rules, will ignore any orbs that fail to meet those requirements. Many evidence based paranormal groups are, very wisely, reluctant to conclude orbs as a source of spiritual manifestation. Orb artifacts are very close in nature to an actual light phenomenon known as ball lightning. Though abnormal ball lightening is a real natural phenomena which has been witnessed by countless people. Ball lightning is defined as a atmospheric, point charge, electrical phenomenon. The term refers to reports of luminous, usually spherical objects which vary from pea-sized to several meters in diameter and usually associated with severe thunderstorms. Ball lightening may last for long periods of time, and move in unexpected ways, such as hovering or following a trajectory. Ball lightning may explain some aspects of orbs visibly observed, yet fails to explain, orbs observed only on captured media. A majority of all captured orb artifacts are the result of, dust (particulate matter), bugs, or condensed water (mist or droplets). Dust is pervasive, omnipresent, and almost impossible to rule out as a reasonable explanation. Scoffing at every orb photo and summarily dismissing them based on dust, doesn’t give credit to the complexity of science. There are many natural forces at work such as gravity, particulate mass, electrical charges, heat transfer, air currents, and so forth. Little specks of in-significant dust particles and how they travel through space is much more complex than one may realize. Orb artifacts may appear spherical but when the physical matter is viewed under a microscope they are not. So why does non circular matter produce spheres on media? The best answer is a theory known as Orb Zone Theory (OZT), “Orbs are essentially an, extension of the ‘circle of confusion’ explanation given by camera manufacturers and serious photographers.” In explanation, an orb is a circle of confusion (complexity), which appears an out of focus highlight. The orb debate is likely to continue as long as the paranormal is being investigated. The bottom line is orbs can be produced by natural means and are not proof of a spiritual manifestation. The safe conclusion is that the presence of Orbs should be scrutinized heavily.